Wish You Were Here Wednesday! This postcard celebrates the imposing facade of the Haunted Mansion at the Magic Kingdom at Walt Disney World. 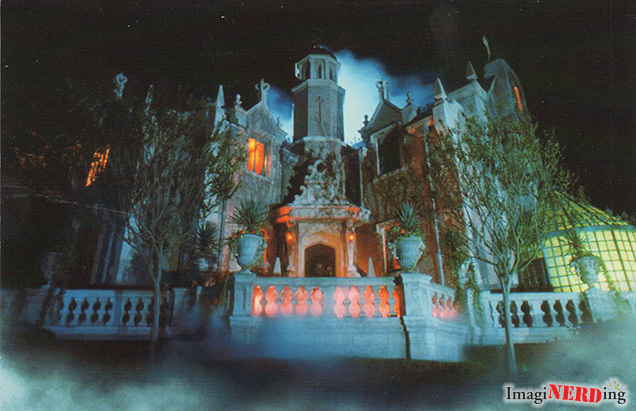 The Haunted Mansion – Foolish mortals, once you begin your ride through this macabre manor, as your “ghost host” informs you, “there’s no way out!” It’s wall-to-wall creeps and hot ‘n’ cold running chills! Massive Disney Blu-ray Release Song Clips!